Panther Project II: This is the third book that we only recently reviewed in the series and the second on the Wheatcroft's Panther Ausf. A, Fgst.Nr. 158134 in the time period from 2009 to 2018. I can say that I did like this book a lot - check out the review in the link if you are interested in that one. 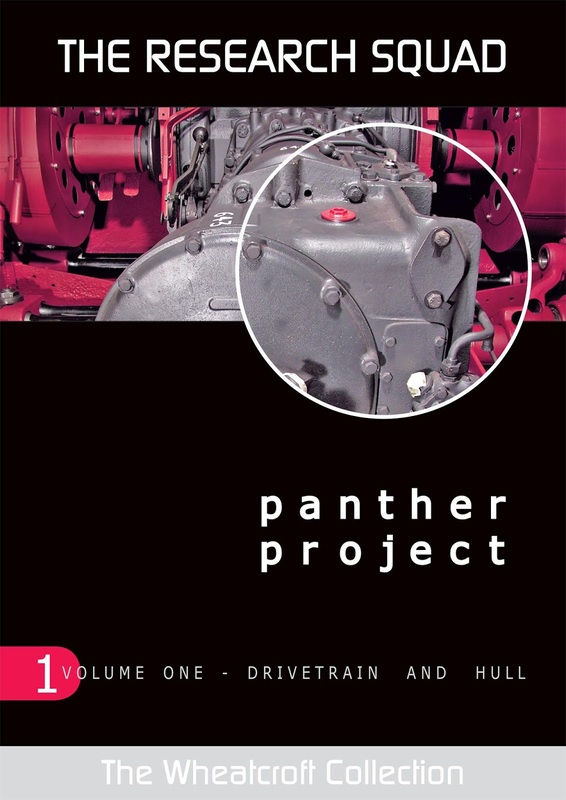 Panther Project Volume I: This is the book that we are looking at today. 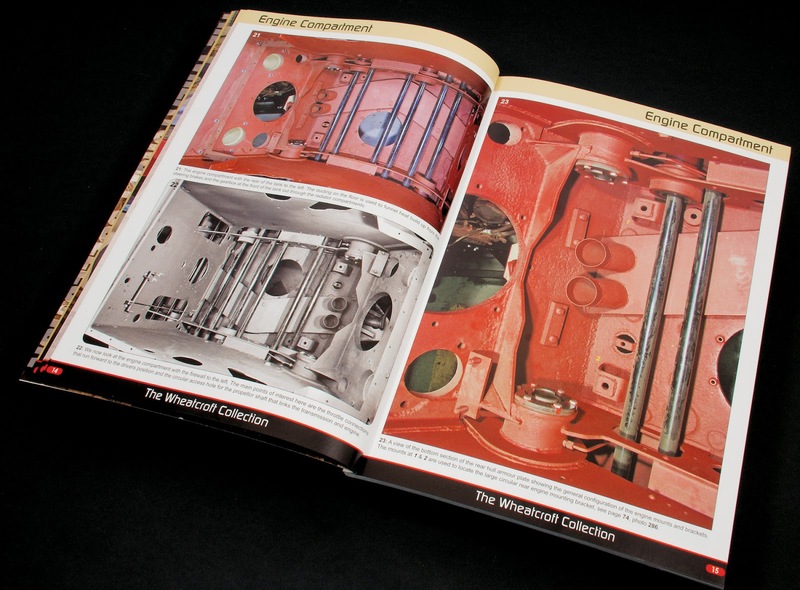 It was the first volume is focussed on the restoration with an examination of the interior of the hull, suspension elements, gear train and drive components. 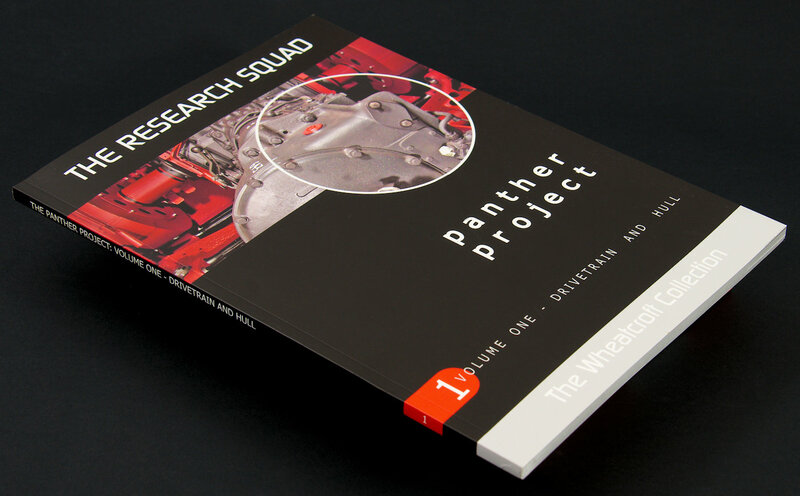 Panther Project Volume I is of a similar look and feel to the second book of the series that we have already seen. The 88 pages of the softcover book are packed with three hundred and fifty colour and period black and white photos. The book's dimensions are familiar also - a portrait format of 290mm x210mm with a spine of about 11mm. The book is a little thinner than volume two which is a larger book of two hundred and eight pages in total. For the most part, this book is all about reference pictures with a paragraph of supportive text to describe each picture. 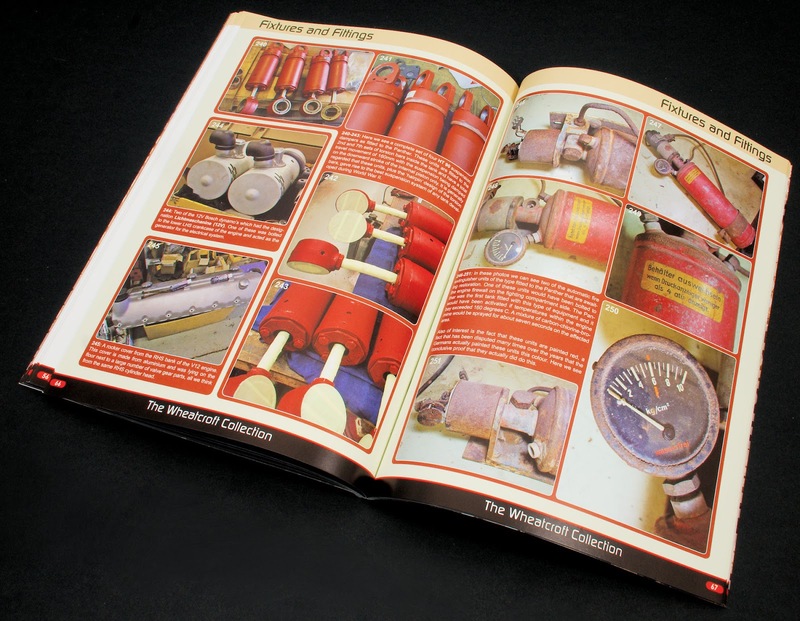 The pictures are of excellent quality, and the text is informative. 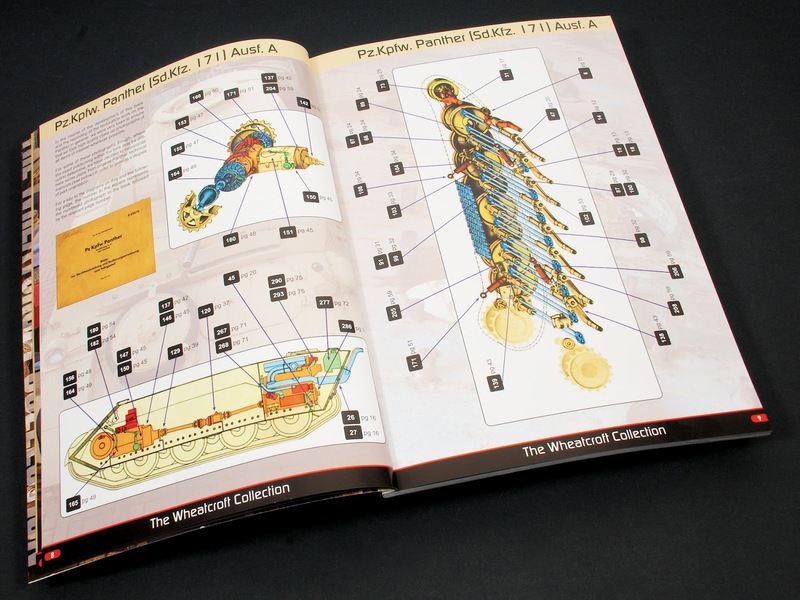 Each chapter of the book is separated into sections showing each part of the tank rather than dividing the restoration into years as the second book does. This is just as good for me, and you could even argue that all of your pictures for a certain part of the tank are in one place. Both systems work, but with the earlier and shorter time frame of this volume, the way this is broken up works well here. OK enough talking ABOUT the book, I will take you through it now denoting the several sections within and what is contained in the pages. 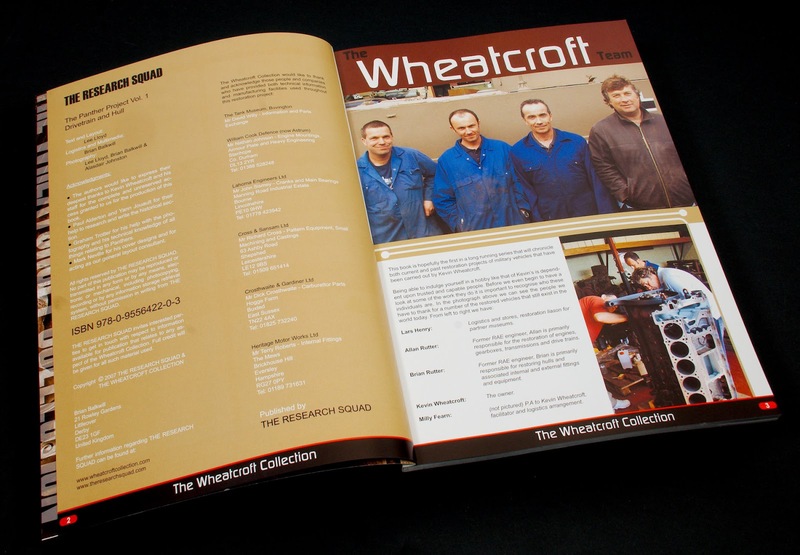 We start off with an introduction to the team at the Wheatfield Collection, with members of the restoration team, Lars Henry, Allan Rutter, Brian Rutter & Kevin wheatcroft (the owner of the collection) featured. An interview with Kevin (I don't know who by) is really insightful and I learned a lot more about the company's ethos from these brief few pages of the interview. The interview hints at the future, and maybe something even bigger to come after this panther is finished. There is a brief intro from the Research Squad about the scope of the book as well as a colour guide showing the highlighting of colours used in the restoration. This interview and the intro really does set the scene for the rest of the book. On page eight we see an excellent index for the book. 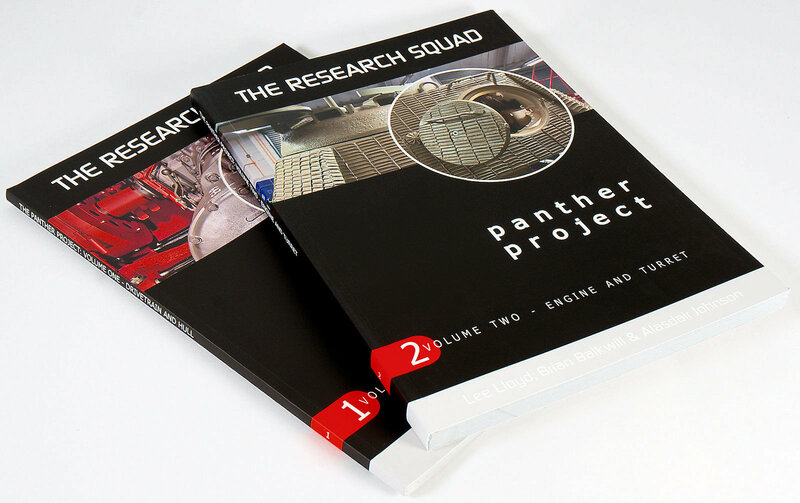 This is executed in an innovative fashion of firstly showing drawings of the Panther's hull a, engine and drive train, then having numbers with arrows showing what page(s) these parts and their restoration are shown on. A great way to get the information across in a visual fashion. 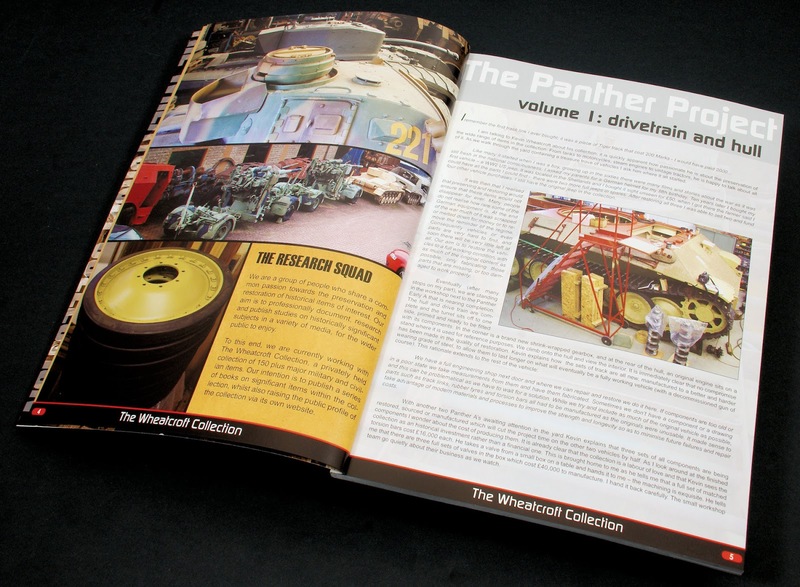 Now the focus goes on to the restoration of the panther, and we start with the Left hand side Radiator compartment in a four page section of picture to a text (get ready for me repeating this) and then the engine compartment in eight pages. 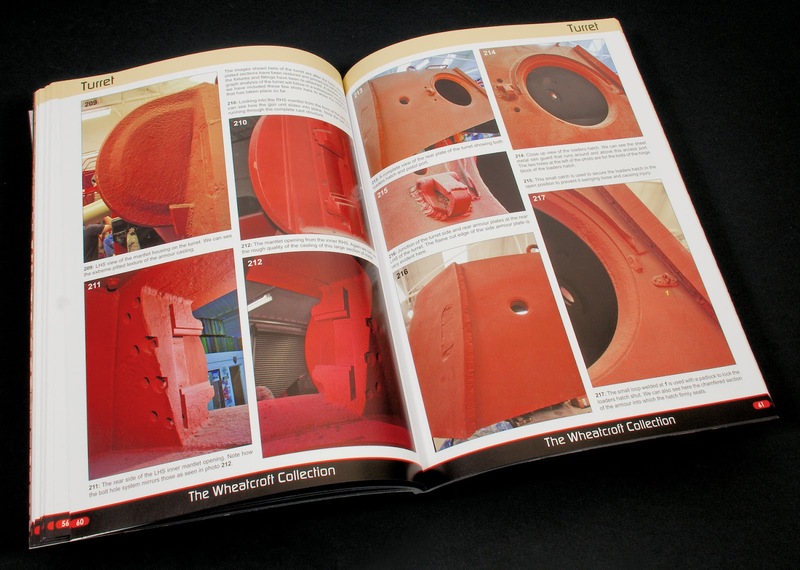 The red oxide primer is something you get used to in this book! The empty spaces of the radiator and the engine compartment are wonderful for modellers especially who are painting their "all interior" Panther kits as they go along. The right hand side radiator compartment is shown in pictures and text next. 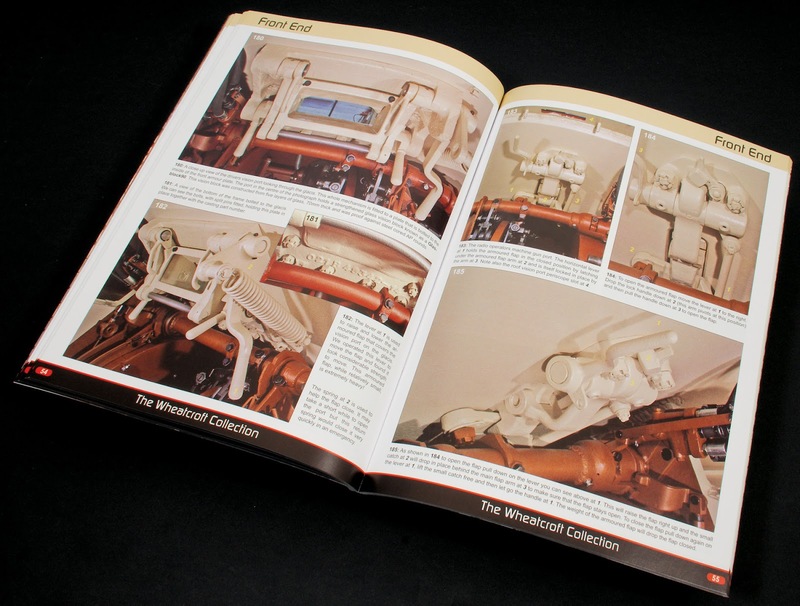 The three pages again are in a similarly excellent quality as the former left hand side radiator photos. These are followed up promptly by the larger format pictures of the whole of the bottom of the tank's fighting compartment. 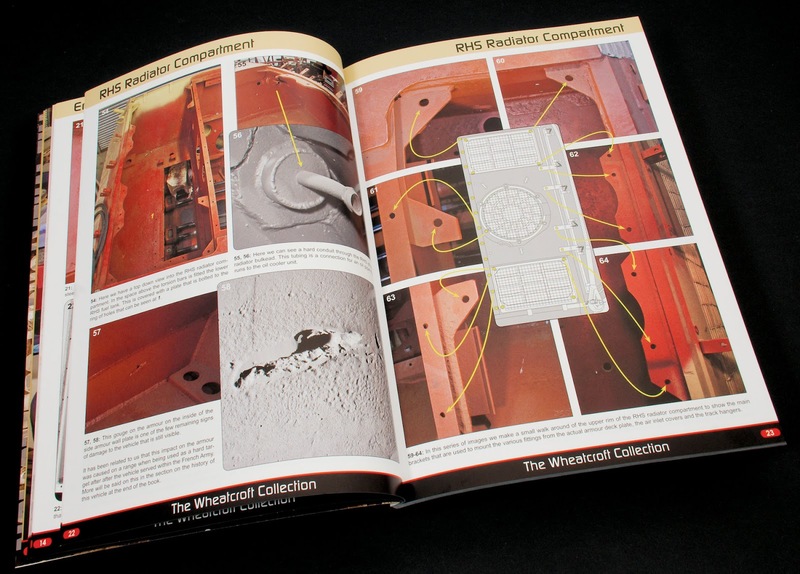 Sixteen pages of detail from the interior are here, going from the rear of the tank pretty much to the front, showing along the way the cluttered floor without the grates for the crew to stand on, the side and rear firewalls with all of that red oxide and cream white, the smaller devices of the fighting compartment and the many, many pipes that carry the lubricant for the tank through the hull which are so very neatly laid out. 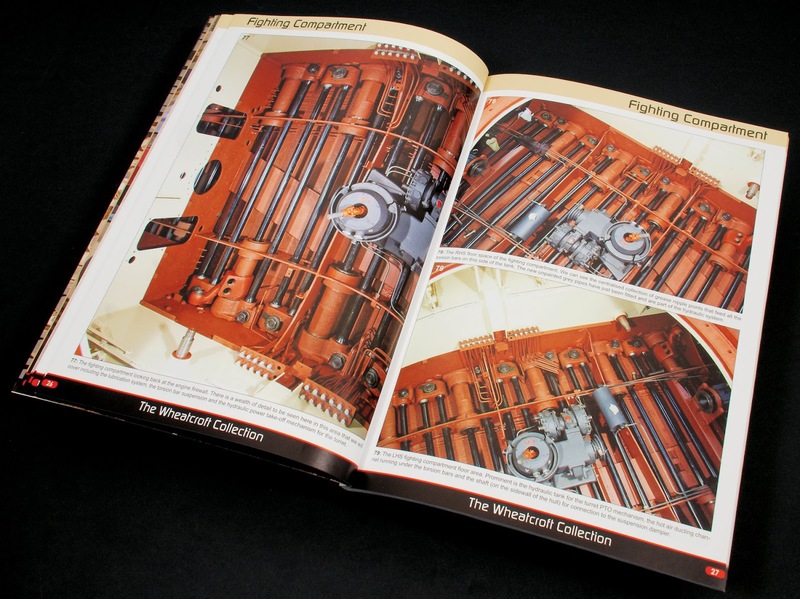 The large ammunition panniers are shown in clear photographic detail, with great supporting text explaining the future additions to this compartment, what they held and how the rounds were stored, both sides are shown of course, and following that are several pictures of the power take off unit in all around detail. 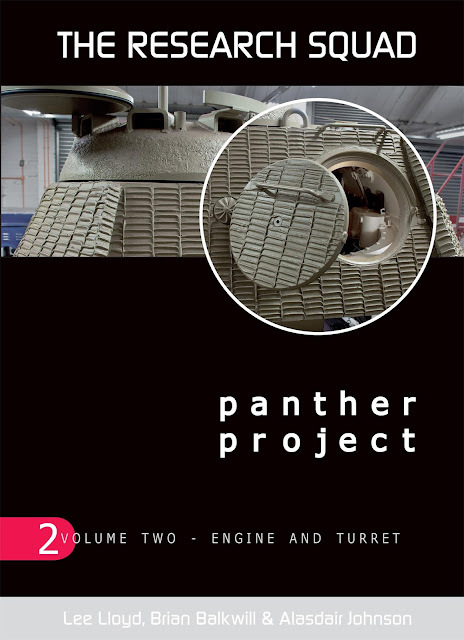 The turret of the Panther is next, with that exterior shown off in the photo walk around of the early stages of the restoration. The rest of the turret is in volume II along with the outer hull. 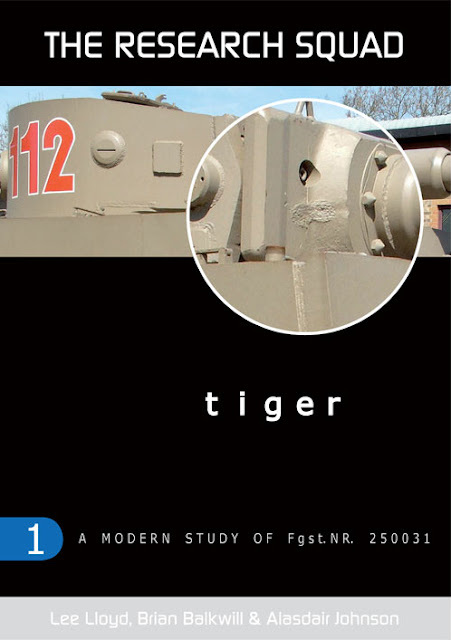 Over four pages we see pictures that show both inside and out of the turret with about one square meter of turret per picture if that describes the detail of them? Small parts of the design and their purpose are pointed out int he interesting text added here. 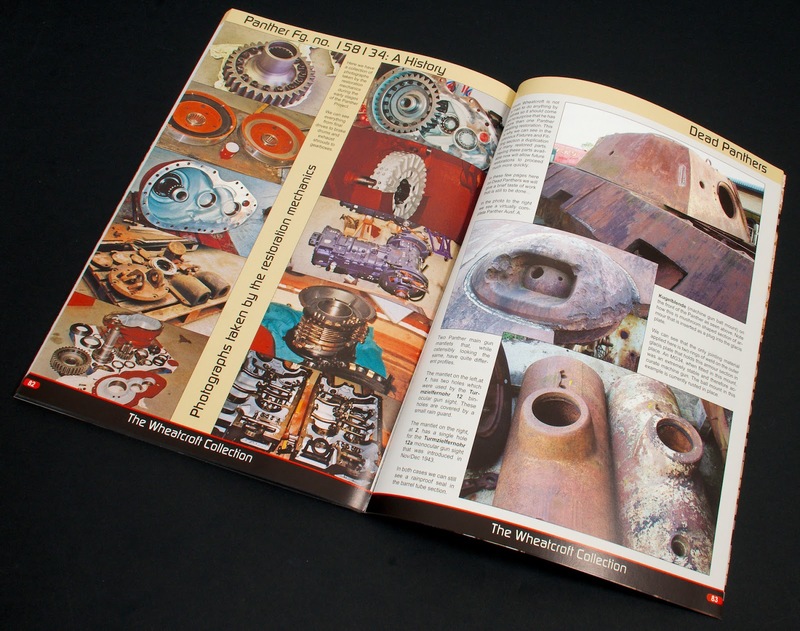 The next ten pages feature the fixtures and fittings of the tank. there are plenty of items to cover here, and some of them are inside the other parts of the tank, so it is good to see them before they are lost to our eyes forever. The massive Maybach crankshafts, suspension dampeners, the dynamos, a rocker cover of the engine, the automatic fire extinguishers (in original condition), water pumps and original Bosh headlights just before we see the MASSIVE carburettors of the tank. Mudguards, track pins reduction gear starters oil filter housing, gun cleaning tube caps, boxes of torsion bars, radiator fan gearbox, fuel and water tanks, suspension dampeners, rear engine mount, the flywheel for the turret compressor and the large unit that houses the magneto water pump and radiator fan drive assembly are all shown in a single or couple of photos each in this section of the book. We go into almost a summary of the works completed at the time of this volume's publishing in the last ten pages. The most recent developments see the tank looking more and more like a thing that people inhabit. 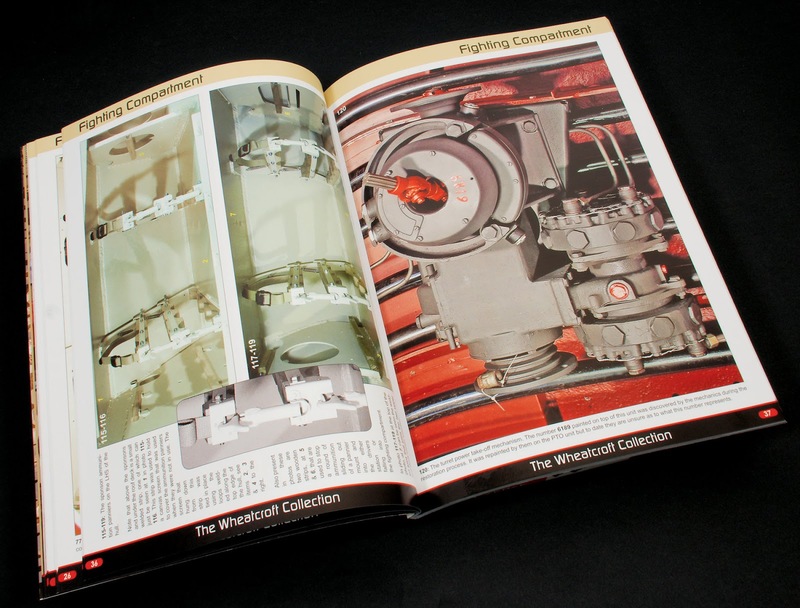 Parts like the seat frames, switches, wiring, plumbing for fluids and the universal joint are shown over the last two pages of the photo graphical study. 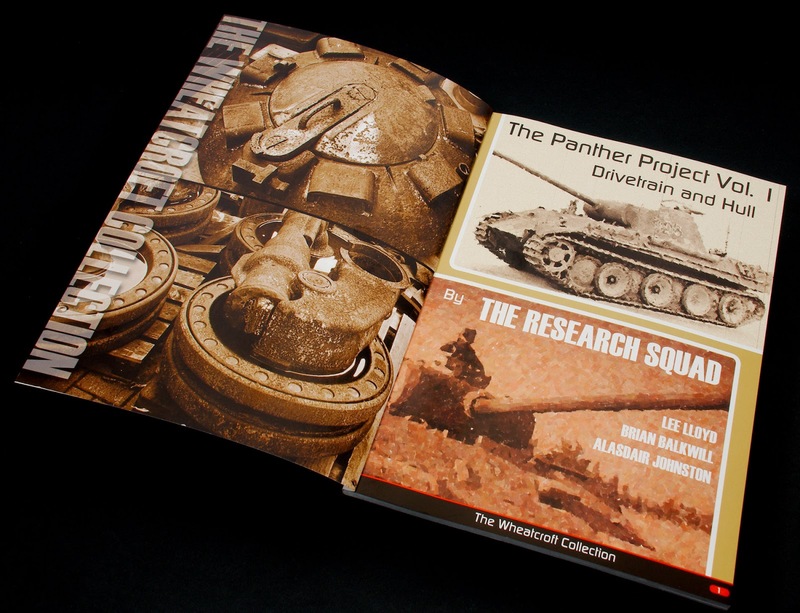 Three pages of a quite interesting history of this tank are included in the rear portion of this book and it makes for some good insight into the detective work that comes from such a restoration. Having done some detective work on my own 55 year old car I can completely relate to this section and I appreciate its inclusion in the book. 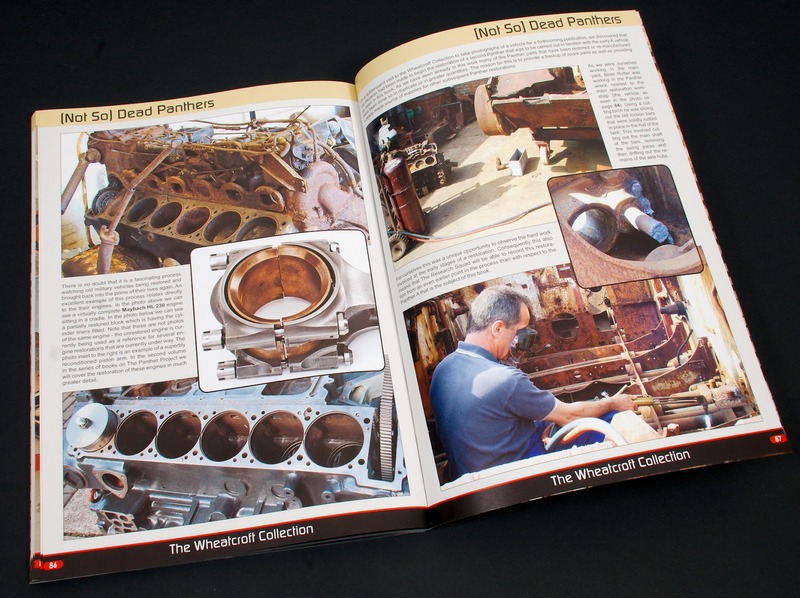 The last five pages of the book are full of pictures of the Wheatcroft Collection's "spare" Panthers and parts. There are many parts that are either awaiting inclusion into this project or are to be used in a future restoration of themselves. Another great bit of insight into this tank and the restoration process. 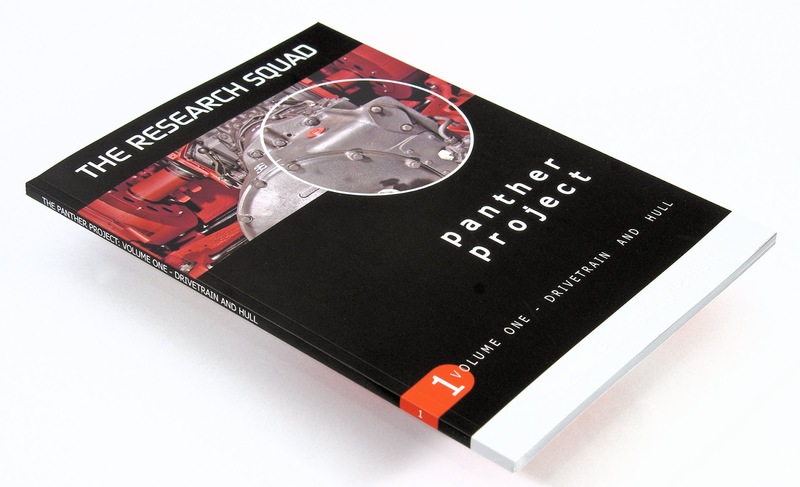 To me this book is exactly what is written on the tin "Panther Project Pt. 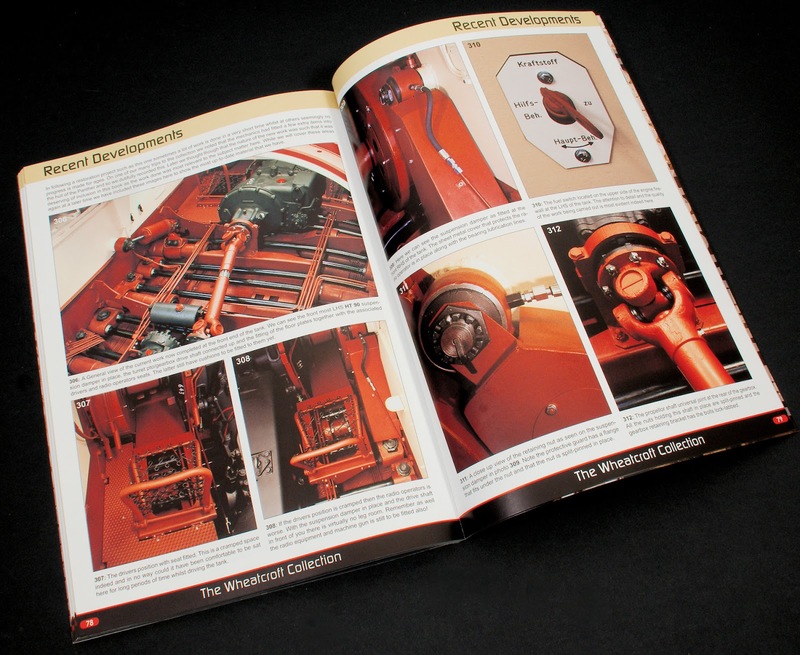 I "Drivetrain & Hull" illustrates exactly what you see here in this book with a few other bits thrown in. the fashion of the storytelling is excellent and the information one gleans about the machine and the restoration process is illumination and informative and the book and how it is packaged together is ordered and sensible. This book is the excellent combination with the second volume that we showed you just a while ago, and now that it has been re-printed, the photos improved in clarity and colours and information included that was not available at the time of this particular book's printing...If you did not already have this book there has never been a better excuse to add it to your collection. For all of those armchair experts, restoration buffs and "Panther with full interior" model builders add this to your list. Thanks to The Research Squad and AFV Publications for sending this book to me to read and review.